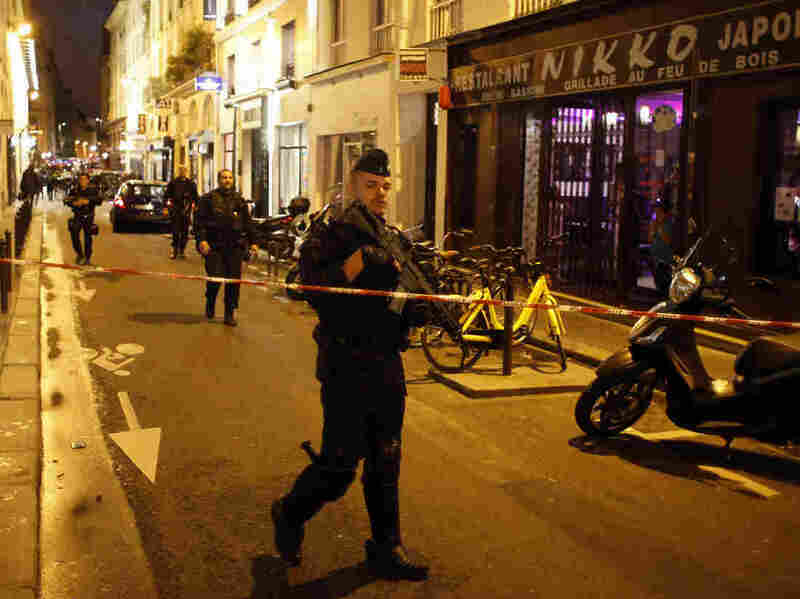 In what is being investigated as a terrorism incident, a man wielding a knife attacked five people on Saturday night, killing at least one and injuring four others, two seriously. NPR’s Eleanor Beardsley reports that the assailant was shot dead by police. The attack occurred in central Paris, near the Opera Garnier. After the stabbings, which took place on rue Monsigny in the Right Bank neighborhood at about 9 p.m. local time, Paris police officers began evacuating some people from nearby buildings. France has been on high alert over the last three years because of a string of terrorist attacks that have been commissioned or inspired by the Islamic State. President Emmanuel Macron also commended police who “neutralized the terrorist” on Twitter, and expressed his condolences for the victims. France will not cede to the “enemies of freedom,” he tweeted.